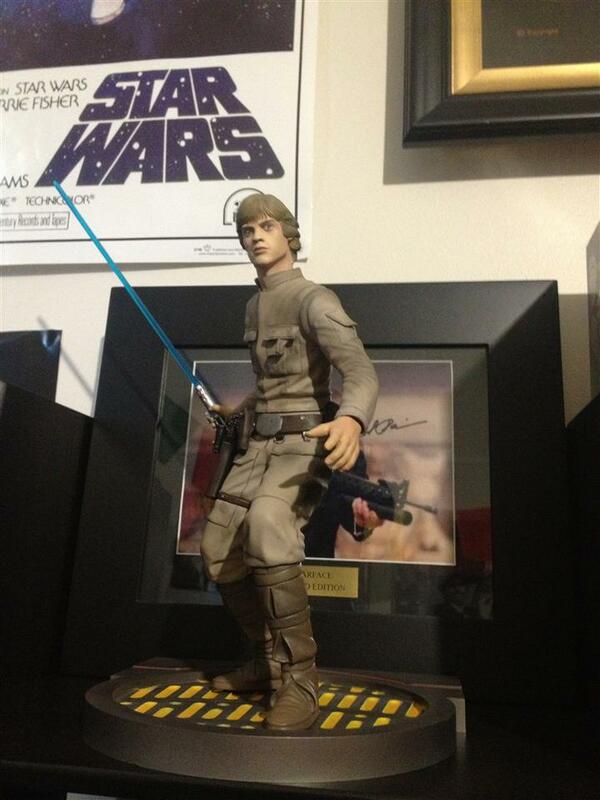 Kotobukiya Luke Skywalker collected in Figure Collection by Tayler Rowe - Collected It! Time for one of my favorite figure manufactures, Kotobukiya. As always i have nothing bad to say about them, the way they create fantasy characters into life is something that really captures not only my eye, but thousands of people around the world also. I picked up Luke from a comic book shop in Melbourne for a reasonable $100 and was very impressed with the way he came together. As always with the ARTFX series, the figures come in basic pieces and are "snap-fitted" together, so you're never too sure how they will look until the final product is complete and on your shelf. I was also surprised with the option of different weapons he can also hold, either the classic lightsaber or a Han Solo style blaster both look great, but who could resist a lightsaber? The only slight downfall to this figure is the look of Luke's face. It doesn't look anything luke Mark Hamill, but that's what you guys should expect from Koto, they opt for the fantasy look more than real life effect. At the end of the day I consider myself a MASSIVE star wars FANBOY and pretty much love anything from the original trilogy, this figure brings the dark Bespin showdown feeling to life and will look great in any star wars collection.